You would have a hard time growing veggies on St. Paul’s West Side without crossing paths with Barb Rose and Maureen Hark. Not only have they played major roles in the development of the West Side Farmer’s Market, the market being able to accept EBT/SNAP, they also were part of the team that spearheaded the neighborhood group “Growing West Side“. Both have been long time youth farm supporters. Maureen has invited YF over for lemonade and to check out her backyard chickens numerous times and Barb routinely opens her home and hosts farmer’s market planning meetings. 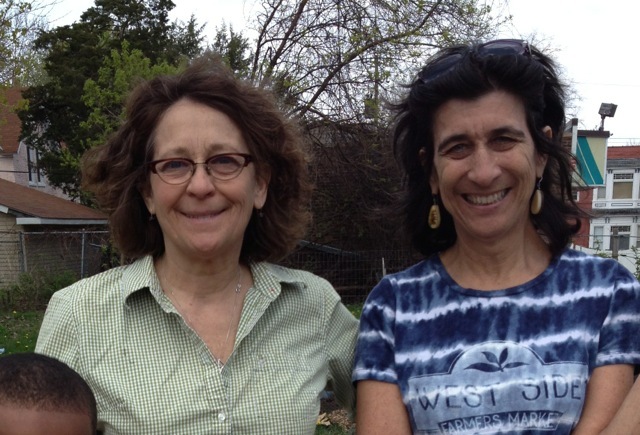 I confidently can say that the West Side’s garden and backyard farm “scene” would not be what it is today without the leadership that Maureen and Barb have provided. So be sure to say “hi” and “thanks” next time you see them around the neighborhood. Anika Walz liked this on Facebook. Mary Boyle Hernández liked this on Facebook. Tori Nonnemacher liked this on Facebook. Hansi Wachtler liked this on Facebook. Kristin Wood Ó Rabhartaigh liked this on Facebook. Maria McNamara liked this on Facebook. Kait Schott liked this on Facebook. Lucy Martin liked this on Facebook.